The Arboretum is a 22-acre national park in Devonshire Parish. The land was formerly owned by the British Army but was developed into an arboretum in the 1960s after being handed over to the government. Trees and shrubs were imported from all corners of the globe. Some were given by Queen Elizabeth II from her collection at the Royal Botanic Gardens in Kew, England. In addition to areas of woodland, the park also features palm collections, areas of open meadows, and quarry gardens. The park is popular with walkers, joggers, and other fitness enthusiasts. In addition to a network of well-maintained paths and tracks, the park also boasts a fitness trail, comprising 20 exercise stations set along an easy to follow route. Organised competitions such as mountain bike and cross country races are frequently held in the Arboretum. The park is open every day of the week from sunrise to sunset. Entrance is free. 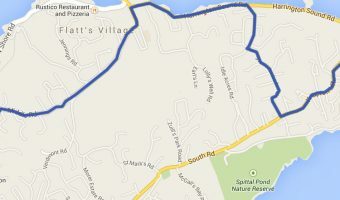 The Arboretum is situated in Devonshire Parish, at the corner of Middle Road and Montpelier Road. There is free parking for cars and scooters on Montpelier Road. To reach the Arboretum catch bus number 3, from Hamilton to St George. Montpelier, the official residence of the Deputy Governor, is situated at the south-west corner of the park. The US Consulate is just across the road. Map showing location of Arboretum. 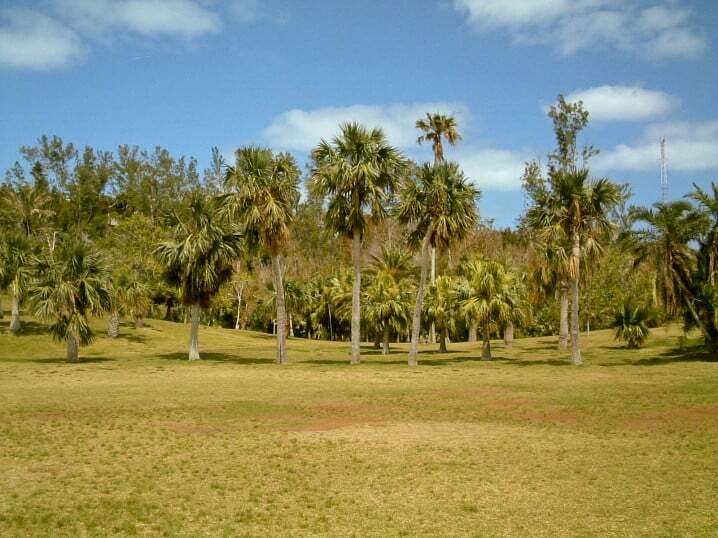 The Department of Parks have re-opened the Arboretum following a successful operation to clean up the debris left after Hurricane Gonzalo. The Royal Gazette reports that areas of the park have now re-opened thanks to the efforts of the Department of Parks. Hurricane Gonzalo hit the island on October 17 2014 causing extensive damage to both the Bermuda Botanical Gardens and the Arboretum. It is anticipated that they will be closed to the public for 3 months while fallen trees and debris are cleaned up. I visited this place straight after being at the Botanical Gardens. It’s far less formal than the Botanical Gardens but is nicely keep and a good place to walk. It was virtually deserted when I went. Nobody but myself and a few joggers. It would have been nice to see more labelling of the trees so I could identify them. Guide to Devonshire Parish. Includes details of places to stay, restaurants, tourist attractions and things to do, shops, and more.